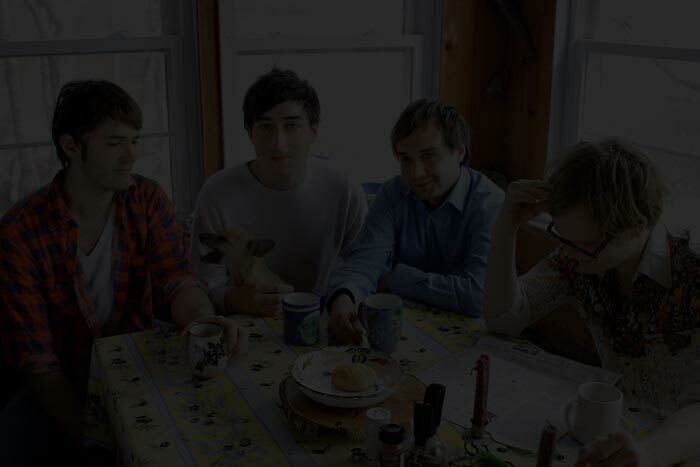 Grizzly Bear are the best four-some I have had in years. 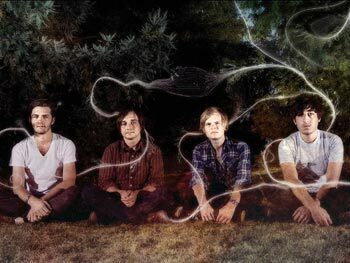 When I asked someone to give me bands to compare to them, he told me that a band in the genre of indie rock can be compared to nothing else; that’s why they’re indie rock. Well, they definitely produced a one-hitter album, and by that I do not mean a single, radio-friendly effort. What I mean is that all you will need is one hit of Grizzly Bear and everything will be fine. The only thing about finding something this beautifully enchanting is you can not just take on hit. You always need more. In absence of comparing them to other music, I would equate them with standing motionless by yourself in a four-walled room - with no doors or windows - watching the shadows move only by the power of your mood. When the music stops do not move. Let it sink in. Absorb it. It is like driving down the country side in the rain and not looking to the road ahead. You are not even accelerating and the car keeps moving forward. Grizzly Bear takes over. They are haunting and painful. They are beautiful and euphoric. They are a group that cares what music sounds like, and how it makes you feel. 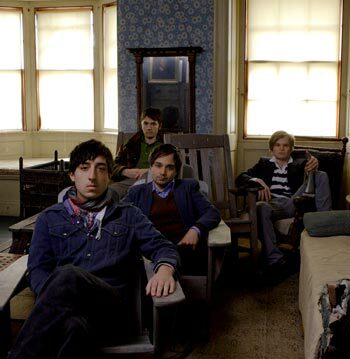 At a recent show at Chicago’s Subterranean, Grizzly Bear packed people in the venue like I have never seen before. I never actually saw them play. The crowd was too great. Instead, I was smashed into the corner of the second floor balcony's end, where I could only see the crowd being captivated by the melody below. George Romero's Land of the Dead came to mind - the way the zombies would stare up at fireworks with nothing else around them catching any attention. It was the same way I watched Grizzly Bear completely consume the audience with their acoustic simplicity and layered woodwinds, electronics and vocals. The music is experimentation the way it’s supposed to be. It allows you escape to a blissful mood, leaving behind your mind-numbing job and all other stress in your life. Press and hold to turn off your constantly intruding cell phone and turn on Yellow House. It’s magic mushrooms with out the paranoia. I write this review as a warning: Grizzly Bear will change your brain, bringing a psychological dependence that requires more of them to get the same effect. If I had thumbs they would be pointing to the sky. All opinions expressed by Ryan Storck are solely his own and do not reflect the opinions of Stay Thirsty Media, Inc.